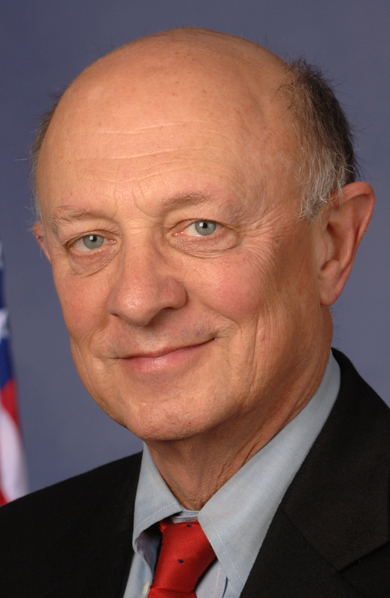 Former CIA director James Woolsey gave a presentation to the firm yesterday entitled, “Energy and the Future of the Middle East.” Tellingly, he spoke about the the West’s ideological enemies, how our oil dependence enables them, and what may be done to break this bleak triangle. His description of the West’s triangular relationship with oil and terrorism is based on our petroleum dependence (specifically in the transportation sector), the unhappy coincidence of oil’s location in countries sans mature democratic institutions, and the necessity that these countries placate home grown dogmatists who seek the destruction of the Western world. This is nothing terribly new, but the interdependence was nicely described. Where things get more interesting is where Woolsey started talking about how to “destroy the Middle Eastern oil monopoly.” The economic label isn’t quite accurate, but everyone gets the point. He referred by analogy to the commoditization of salt in the Nineteenth Century, following the widespread adoption of refrigeration technologies. Salt went from strategic asset to commodity when market demand abruptly shifted; it was technologically redundant as a major feature of food preservation. Hence we need to adopt transportation technology which is not substantially dependent on petroleum. The way forward is provided by new solar cell technology, advances in battery technology, and bioengineering developments in fuel synthesis. With paper thin solar panels that run off of production lines at “one meter per minute,” cheap night-time electricity, and abundant coal, we should be able to free ourselves of our dependence on petroleum, destroying OPEC, and defunding Middle Eastern ideologues. It’s a pretty sweet combo-threat to become energy independent, but it sounds a bit too rosy. There’s much promise in the ability to bioengineer microorganisms to create synthetic fuels from plant waste, but I gather that its a long way off from an industrially efficient option. The technological advances Woolsey advocates are certainly important ones to take, but they still only treat the symptoms and completely ignore the drivers of energy consumption. Maybe - just maybe - our demand for oil would be less if we didn’t drive so far to and from work, which, maybe we wouldn’t do if we didn’t push out so far from cities because of constraining zoning regulations and federally subsidized mortgages.